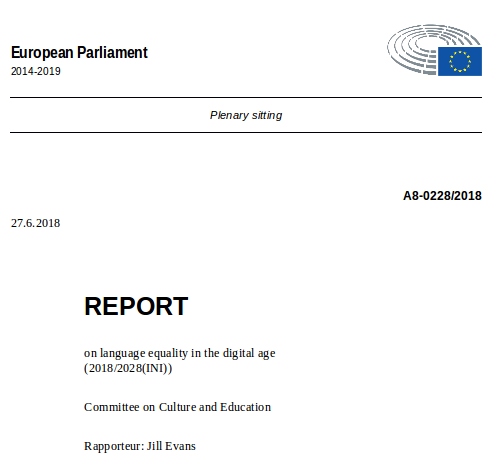 European Parliament endorses the report on Language Equality in the Digital Age (2018-09-11) « Ixa Group. Language Technology. It is not a law, but it is a declaration made by the European Parliament, which can be a guiding reference for all countries. Today, as until now there were no laws or declarations of the European Parliament to protect the low resourced languages, everything remains in the hands of the local legislation of each country, which could without problems ignore these languages. It is not a law, but this Europarl report is a step forward. “I am pleased that the European Parliament agrees with my view that action needs to be taken to address the digital gap between European languages. “European citizens must be able to access and use the digital world in their own languages, including in minority languages. This will require investment and leadership at the EU level. increase the support for both private companies and public bodies to make better use of language technologies. 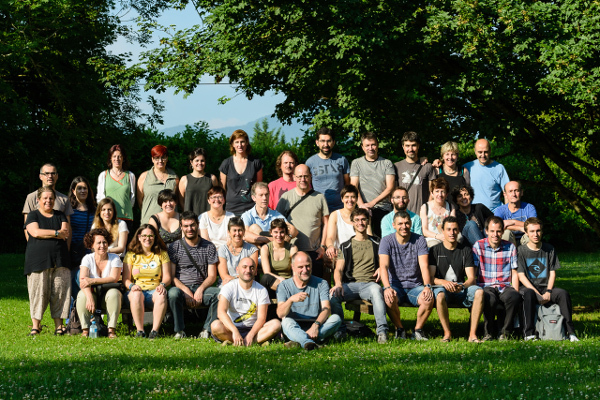 Last January, Maite Melero representing Catalan, Delith Prys representing Welsh, and Iñaki Irazabalbeitia and Kepa Sarasola representing Basque participated in the creation of the first draft of the report.